After alternating for the last few years between Ban Roll-On (for days I know are going to be stinky and stressful) and The Rock, I've finally succumbed to the allure of homemade deodorant. There are quite a few recipes online for making your own. Some people use straight up baking soda and have found that it's a little irritating, so they cut it with cornstarch. Other people have found success by mixing equal amounts of baking soda, cornstarch and coconut oil to make it into more like a deodorant bar. I liked the recipe I saw on Angry Chicken (us chickens have to stick together), except I didn't have shea butter so I fiddled around a bit with the recipe to make a deodorant bar that is more like what you get from the store. Let me first point out that most sandalwood essential oil isn't sustainable. But, the stuff I have is really old and it gives the deodorant a nice hippie feel to it. Sandalwood is supposed to be antimicrobial, for whatever that is worth, so if you have some use it, but don't go out of your way to get it. The cocoa butter kind of overpowers any smell in there, so if you don't like that make sure you buy deodorized cocoa butter if the smell is too strong. Anyway, I melted the oils in the microwave, added in the dry ingredients, mixed well and added in the essential oil. You can pour the cooled, but still liquid deodorant into a 2.5 oz deodorant plastic applicator for easy application and put in the fridge to harden. Make sure the applicator is the kind with the "screw" in the middle of it. If you don't have an old applicator, you can pour it into a small wide mouth canning jar or other small lidded container and put it in the fridge to solidify. If you want to read about the potential dangers of commercial antiperspirants and deodorants, check out this post, The Dangers of Deodorant. I know what you all are wondering: sure it looks easy enough to make, but does it work? Well, I've used this on the day I got my legs sugared at the local beauty academy (totally worth the $10, but man they sucked) and came out smelling okay in spite of the profuse sweating going on in there. I also used this deodorant when I got my nose pierced the other day which was, needless to say, quite nerve-wracking and lo and behold, no stink! So, if I can make it through those sorts of events that would normally require a Ban Roll-On kind of day, then I'm sure it will work fine on your average day's stress and sweating. How was the nose piercing, Crunch? Condo Blues - I have a bunch for making soap that I got at Zenith Supplies in Seattle, but you can get it in the natural foods section of some stores. Maybe a Whole Foods? I haven't looked lately. Cocoa butter is much harder at room temperature than coconut oil, so there's less chance of the deodorant melting than with other recipes. Although I suspect on really warm days it's safer to store it in the fridge. I like that container! Did you make that, Crunchy? I'll have to try this sometime. I have this mental block about sweating a lot, but I really don't like the ingredients in "regular" deodorant, either. Aydan - One more thing you can try, which is what I did... Just use the alternative deodorant on the weekend or on days where you know you are going to be relaxed or not sweating a ton. That way, if you are home and start stinking you can deal with the problem if things, arise. You'll also see whether or not it works for you. Then when you know you're going to have a stressful or sweaty day, use the regular stuff. Soon you'll realize you can get away with using the alternative stuff a whole lot more often than you'd expect! Thank you for sharing this! I have been wanted to make my own since trying handmade deodorant from Etsy. It works so well, I don't understand why anyone bothered making the chemical kind. I'm a baking soda with a splash of cornstarch babypowder myself. ;) You recipe sounds nice though. I might try that next. I've gotta try this some time soon, I'm only doing baking soda right now and am ready for something new. Ah, nose piercing - I think my ears hurt more than my nose did, 'twas a while ago though now. I've been meaning to try this ever since I saw it on angry chicken. Now that you give it the okay, I'll definitely put it on my to do list. I've had my nose pierced since I was 12, didn't hurt too much, septum piercing, A WHOLE 'nother story! I just tried a homemade recipe like this, but without cocoa butter. I didn't know that it stays more solid - thanks for that bit of information. I'll add it in the next batch. Instead of sandalwood oil, I used a few drops of tea tree oil and lavender. I love the scent from this combo. 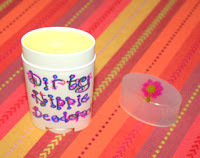 I wrote about my homemade deodorant adventures and my hosting of an 'i'm not a dirty hippie' for my newspaper column. I have my nose pierced, too. Yeah, it wasn't bad! My deod. never fails me! I will keep this in mind. But for now I will stick with my commercial stuff. I do like the idea of using a brush to apply - that sounds worth a try when this can is gone. My poor brain is weak and focused in other directions... I need my Speedstick Deodorant man! But I get the message, see the truth, so I will make a change... soon. Thank you. If you want to go cheap & dirty...spritz hydrogen peroxide on your armpits. Smell is from the bacteria on your skin...peroxide is natural, doesn't cause any type of cancer, paba free, paraben free, it's not an antipersperant & works LOADS better than the rock. My husband who is stinkin' to high heaven & beyond when he comes home after using the rock is as sweat smellin' as he is fresh from the shower with peroxide. I don't have a problem with the rock. You could add lavender eo since it's a natural antibacterial & soothing to the skin if you take the time to shave. Both are genuinely effective against odor. The nano-silver is getting popular, because it works; but folks are also getting concerned specifically because it really is very active. Where does it go after you put it on? Nano particles get around. I use white vinegar. I keep it in a spray bottle, spray my fingertips, and slop it around in my pits. Have been using it for over 5 years... works great! I recently switched to just baking soda and I'm sold. I'm naturally quite stinky and the baking soda works just as well as the commercial stuff. The only difference is the wetness, which I'm adjusting to. I encourage everyone to give it a try! Your post got my attention because we've been writing about homemade recipes (DIY Spa Series) in our blog too. So far we've only written about recipes for the face and hair. :) I didn't realize the dangers of deodorants till now! 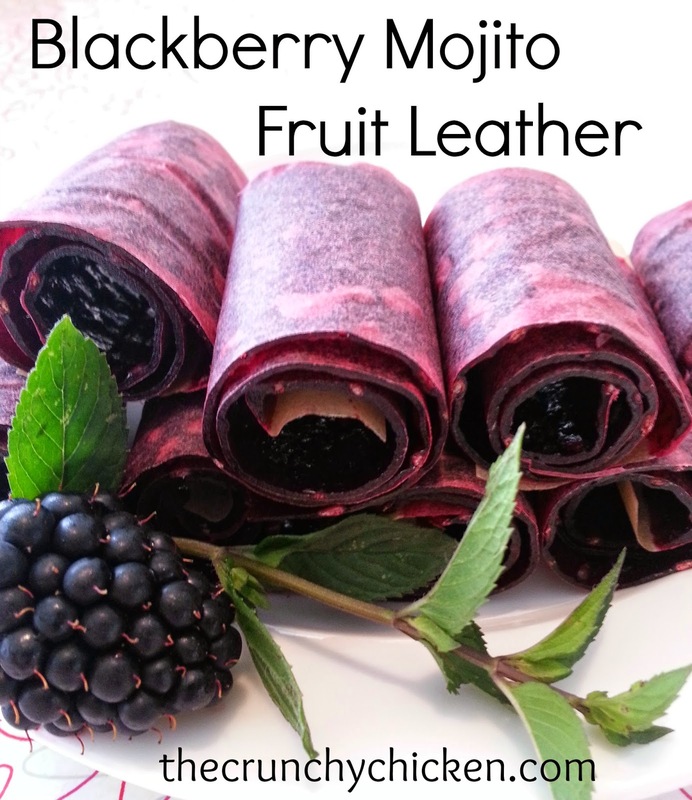 Thanks for sharing the recipe and the link to -- gives us more reason to switch to organic beauty products! For 10 months of the year, I use a mineral salts type deodorant. For the hottest 2 months of the summer, I switch back to a commercial antiperspirant. It is completely uncomfortable (and I think a tad unprofessional) to be at work with humongous wet patches in my underarm area. I would love to be natural the entire year but I think this is a reasonable compromise. Hi my friend just sent me a link to your blog and so far I like it. Your deodorant info came at just the right time. I ran of the store bought stuff and now I'm ready for something more natural and better for us all. Thanks again. I found this recipe for natural deodorant two years ago and have never looked back. It even got me through my trip to France. It's better than any other commercial deodorant I've ever used. Ok, 6 days in and my pits are on fire! I don't exactly have a rash, but they are irritated. I'll see how I do tomorrow and then go back to the drawing board, maybe increasing the coconut oil and cocoa butter? Anyone else experiencing pit rash with this stuff? I suspect it's the baking soda issue. Ok, nevermind. I don't know what was going on yesterday, but it only lasted briefly (I changed my clothes) and I'm fine, so maybe it was something I was wearing was rubbing me the wrong way. I've got on the deodorant again today and so far no problems. Tris and use essential oils that can be irritating to some, so a friend suggested that we put e.o. 's in spray rock deodorant. Works like a charm. But I like the stink of my girl, so I prefer not wearing any. Thats just me. Wow a fellow farmer came into my store and asked about the diva cups, and told me you talk highly of them. After looking around I'm super excited as well. I use the rock, and heard about powders but wasn't crazy about powdering my pits. I check everything I use on EWG Skin Deep database, and I can order anything from the main natural retail distributors. Even with these resources I find most of these products leave much to be desired. Thanks for making me aware of something I might not have thought of! I haven't used deodorant in over 13 years. I have never received any complaints. I just make sure to shower after working out.